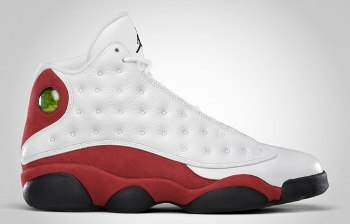 As what the Jordan Brand announced this year, the last instalment of the five Air Jordan 13 Retro shoes this year will finally be released this Saturday 18 December, and like the previous four colours, the White/Black-Varsity Red edition is expected to draw a lot of attention. Aiming to spice their sales this year, the Jordan Brand released five different accents of the AJ 13 Retro – white/red play-off, bred, flint, and altitude – which boast identical designs and similar comfortable and performance-based features. Are you impressed with its design? Watch out for as it hits the market this weekend, and like the original edition and the new releases of this model, it will definitely be another hit – continuing its legacy of being one of the best Jordan’s ever.